ESMA’s ESEF mandate is coming, and companies affected will need a compliance solution in place by 2021. At CoreFiling, we’ve already demonstrated that two of the major apps on our XBRL Certified™ True North® data platform can be used for search (Full Beam) and review (Beacon) of the sample filings created during the ESEF field test. The power of taxonomy-agnostic, XBRL certified tooling means we were able to demonstrate consumption quickly. We’re pleased to announce the launch of the ESEF Taxonomy Extender into CoreFiling Labs (free to use, but requires sign-up with a valid e-mail address). This demonstrates our APIs for producing ESEF-compatible extensions by letting a user search and select concepts from the base taxonomy to anchor to. 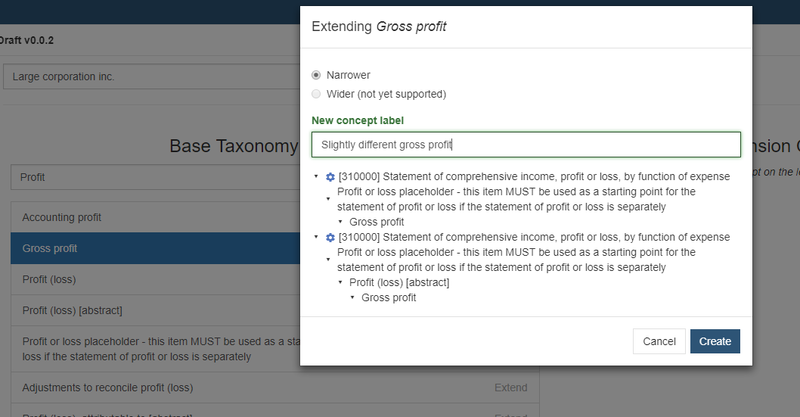 At the end, the user can download a taxonomy package with their extension. The capability shown here could be integrated into existing tagging solutions – naturally, we will be integrating it into our own – but its provision as an API means others are able and welcome to integrate into their own tooling as well, using the power of our platform to do “the XBRL bit”. By demonstrating our ability to create filings and extensions for ESEF reporting, as well as search, review, validation and consumption, CoreFiling can provide tooling for the entire ESEF iXBRL lifecycle. This Member Announcement was originally published on the CoreFiling blog.